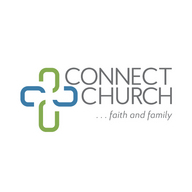 Connect Church is a growing church of faith and family since 1993 that serves both Royal Palm Beach and western communities of Palm Beach County. We are sincere about faith as a spiritual life-changing salvation experience. We pursue the Lord by faithfully studying His Word and obeying His Holy Spirit as a family of believers. We gather as believers to fellowship and connect together in spiritual love. We support one another in prayer, study, encouragement, care and service. At Connect Church you will find a casual and relaxed atmosphere, modern and uplifting praise and worship music, relevant and weekly bible based teaching, connection groups, vibrant youth and kids programs and much more. We hope you'll come see us soon at one of our two campuses!